Charles was a shoemaker prior to the war. It is with pleasure that I sit down to write you a few lines to let you know that I am well and hope these few lines will find you and Jossie enjoying the same great privilege. There is not much news to write. The troops are arriving here every day. They are A. J. Smith’s — they Sixteenth Army Corps. They are a rough set of men as I ever saw. They have been on a march for a year steady and they look dirty and ragged. The troops are leaving here today. The most of the division that we belong to are under marching orders and we are expecting orders every moment to pack up and be off to Mobile. There was nine of our men discharged today. They are men that enlisted in 1862 for the term of the Battery. They reenlisted as veterans and came home with us but they had not served two years so they had no right to reenlist but we did not know it till now so they get their discharge today. I wish that I was one of them but I don’t think that the war will last long. I think that it will end by next fall sure. I hope so for I am tired of it. Write and let me know if Plummer lets you have that money that I spoke about in my last letter. I don’t think that we shall get our pay for some time yet as it is awful hard times with us for tobacco. But we manage to get along. 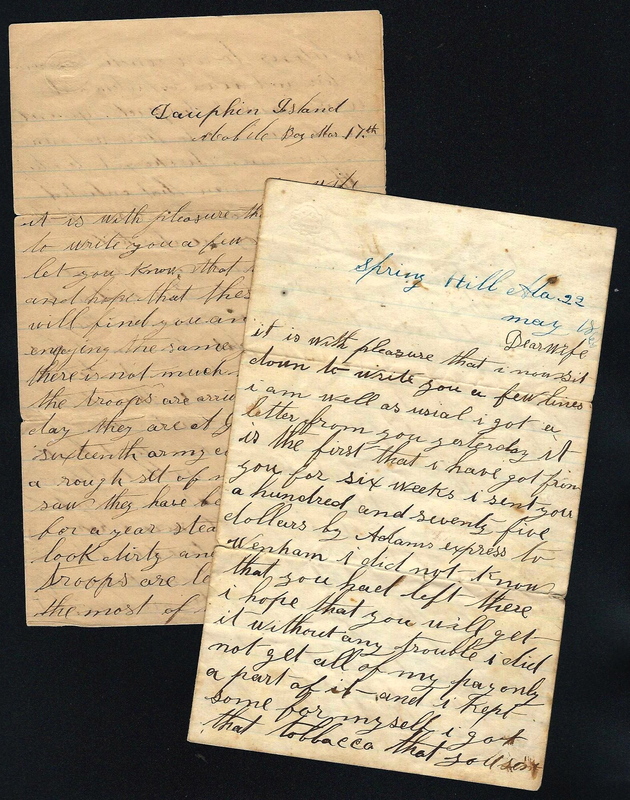 We have got three days rations in our haversacks but Tom & I have eat all of ours up so that we should have to go without if these men had not give us theirs so that I am alright. And one of them gave me fifty cents so that I can get a plug of tobacco. Then I shall be alright for two or three days. If you want me to write, send me a sheet of paper in your letters for I am all out. Dear wife, It is with pleasure that I now sit down to write you a few lines. I am well as usual. I got a letter from you yesterday. It is the first that I have got from you for six weeks. I sent you a hundred and seventy-five dollars by Adams Express to Wenham. I did not know that you had left there. I hope that you will get it without any trouble. I did not get all of my pay — only a part of it — and I kept some for myself. I got that tobacco that you sent me and I was very glad to get it. I have wrote to you five letters since I came here and have not got any answer from any of them. I have begun to think that you had forgot me. I like it here at Spring Hill very well. It is a lonesome place. There is about two hundred people lives here. This morning all of the troops are leaving here and going to the city of Mobile. ¹ There was a magazine exploded in the city last night and killed about a thousand people and broke all the glass that there was in the city. Tell Maria that I have not forgot the old times that we used to have. Tell Jossie that I am coming home to go berrying with her and to go to camp meeting. I think we shall be at home in two months. They have begun to discharge some of the troops now. 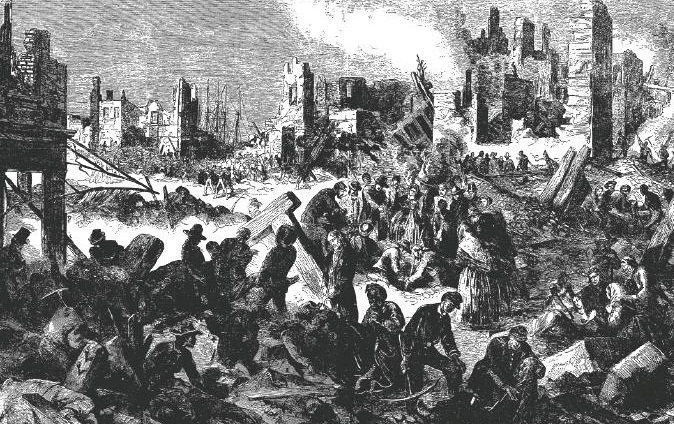 ¹ On May 25, 1865, in Mobile, Alabama, in the Southern United States, an ordnance depot or “magazine” exploded, killing some 300 persons. This event occurred just after the end of the Civil War, during the occupation of the city by victorious Federal troops. The depot was a warehouse on Beauregard Street, where the troops had stacked some 200 tons of shells and powder. Some time in the afternoon of May 25, a cloud of black smoke rose into the air and the ground began to rumble. Flames shot up into the sky and bursting shells were heard throughout the city. 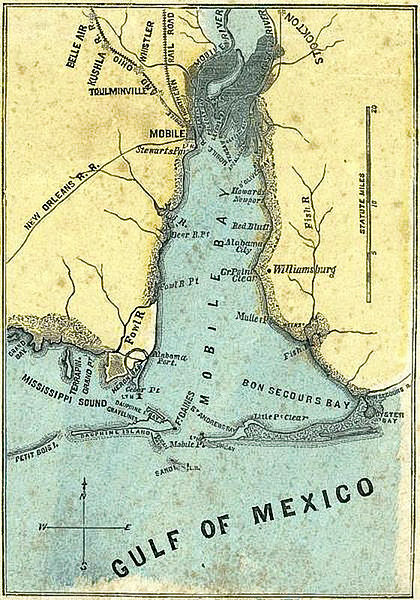 In the nearby Mobile River, two ships sank, and a man standing on a wharf was blown into the river. Several houses collapsed from the concussion. A reporter for a local newspaper described “bursting shells, flying timbers, bales of cotton, horses, men, women, and children co-mingled and mangled into one immense mass.” He continued: “The heart stood still, and the stoutest cheek paled as this rain of death fell from the sky and crash after crash foretold a more fearful fate yet impending … old and young, soldier and citizen vied with each other in deeds of daring to rescue the crumbled and imprisoned.” On the heels of the explosion came fires, which burned until the entire northern part of Mobile lay in smoking ruins. A huge hole where the warehouse once stood remained for many years, a reminder of the disaster. The exact cause of the magazine explosion was never determined. Some northern newspapers tried to pin the blame on an imagined gang of unreconstructed Confederate officers. Most people, though, accepted that it was the result of simple carelessness on the part of workers handling wheelbarrows full of live ammunition.